Castlevania: Lords of Shadow – Mirror of Fate launched back in March for the 3DS. 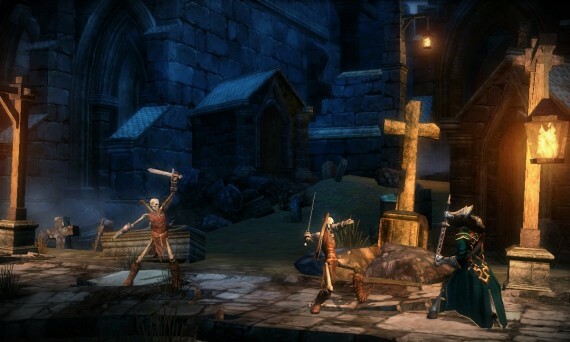 A callback to the traditional Metroidvania style, Mirror of Fate was poised to delight old-school Castlevania players. However, the end product wasn’t quite as tight on the 3DS then it could have been on actual consoles. Cue Mirror of Fate HD, an HD Remaster of the handheld title for PS3 and Xbox 360. Does the transition to console make the game worthy of the name “Castlevania,” or is this one doomed to Dracula’s curse? 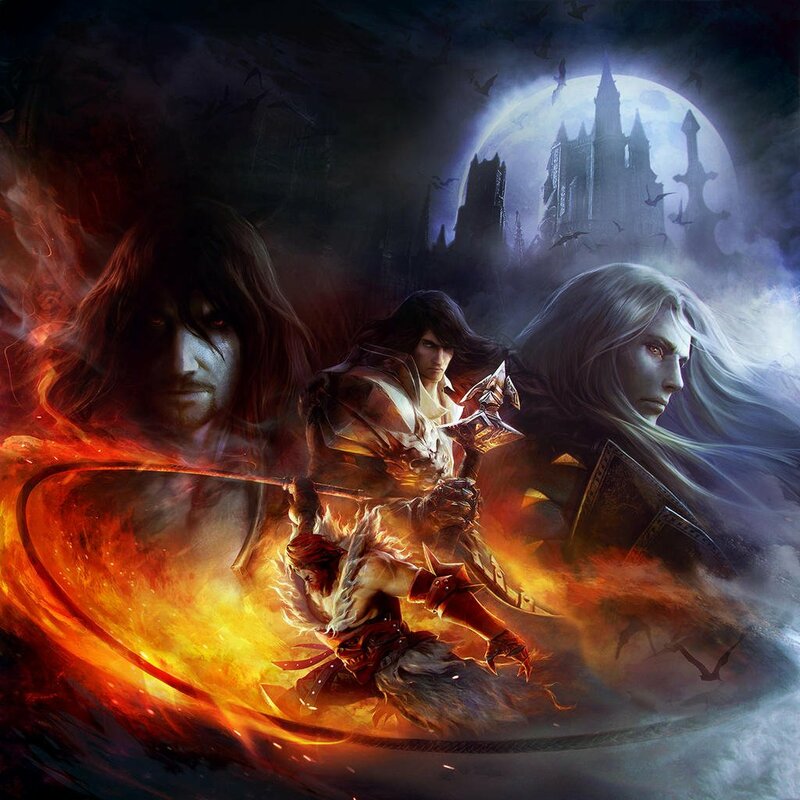 Castlevania: Lords of Shadow – Mirror of Fate HD takes place over a span of 60 years with players switching to a different character each act; Gabriel Belmont, Simon Belmont, Trevor Belmont or Alucard. If you’ve played the game on the 3DS then you’ll know the whole story. MercurySteam has not added any new plot, but rather just ported everything they had. Told as a non-linear story, Trevor seeks to destroy Dracula for bringing shame on the Belmont name, Simon wants to destroy Dracula for the apparent death of his father and Alucard wants revenge for what Dracula did to him. Paths between characters cross along the way as they head towards their similar goals. Castlevania: Lords of Shadow’s plot was a spiraling twist of events that was capable of shocking the players. Mirror of Fate isn’t like that at all. The story is extremely simple with few cutscenes punctuating the very short campaign. This was most likely done because a 3DS cartridge can’t hold that much data. This restriction is not present on the PS3 and Xbox 360, however, so its very disappointing to see that MercurySteam did not decide to expand the story. The developers also did not see fit to expand much else from the 3DS version. Everything has been airlifted straight off the 3DS onto the PS3 and Xbox 360, but with a visual upgrade. Mirror of Fate was already light on content on the 3DS with few collectibles and scrolls to collect. While classic Castlevania games were known for their sprawling environments and lots of collectibles to find, all you’ll find in Mirror of Fate are two paths; the path to objective and then a path to either a scroll or an item to upgrade your health, magic or increase the amount of ammunition you can carry. 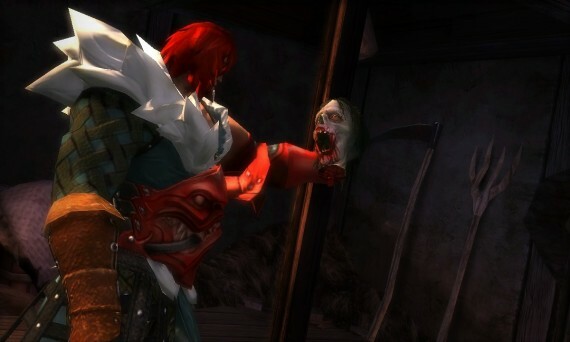 Something that MercurySteam nailed on the 3DS was emulating the gameplay from Castlevania: Lords of Shadow. Direct Attacks and Aerial Attacks still feel devastating to perform and its always satisfying to reign in a stunned enemy and rip them apart. These controls feel even better back at home on an Xbox 360 and Dualshock 3 controller. Playing with the 3DS Circle Pad was messy for platforming, but the PS3 and Xbox 360 sticks work perfectly and are precise enough for platforming. Don’t want to use the sticks? Completely fine as you can opt to use the D-Pad, a feature that wasn’t in the 3DS version. Light Magic is assigned to the Left Bumper and Dark Magic to the Right Bumper. Blocking is done with the Left Trigger. This is one area that MercurySteam did put a lot of time and consideration into when bringing this title over. If only there were plenty of enemies to fight. Dracula’s Castle is filled with a whole lot of nothing. Enemy encounters are surprisingly sparse and there’s rarely ever more than two at the same time when they do pop up. A few places can have three or four, but never more. Enemy variety is also severely lacking. You’ll fight the same enemy over and over again, or some reskinned version. Encounters are very easy with most deaths coming from traps or not being able to see whether the ledge your leaping from has solid ground underneath or is a bottomless pit. 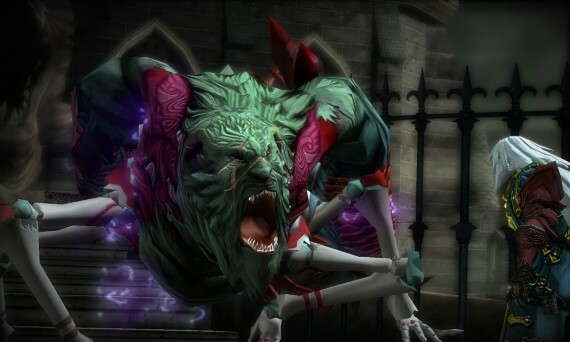 A few boss fights break up the monotony and are a real challenge. You can’t just button mash your way through them, but actually have to watch and react to what they do. Very refreshing after easy normal enemies. Probably the worst part of the gameplay is the Quick-Time-Events. Like on the 3DS version, the Quick-Time-Events on PS3 and Xbox 360 pop up out of nowhere and just don’t mesh well with the gameplay. Castlevania: Lords of Shadow came up with an interesting solution for Quick-Time-Events that used two rings with one slowly getting closer to the other. Pressing any button as the circles came together was simple and natural. Why that mechanic couldn’t return in Mirror of Fate HD is perplexing. MercurySteam have significantly bumped up the visuals. It’s still obvious that the game came from a handheld, but it doesn’t look bad. From a distance, everything looks nice and crisp with few jaggies. However, as the camera zooms in things can get a bit blurry. 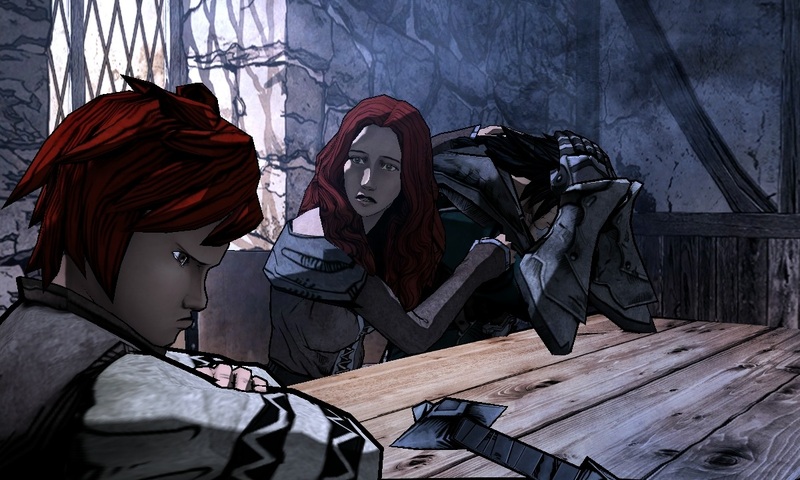 The beautiful comic book like cutscenes benefit the most from the jump to HD. Colors are more vibrant and the dark lines are more pronounced. The best part, the mouths actually move as the characters are talking. Castlevania: Lords of Shadow – Mirror of Fate HD presented MercurySteam with a chance to correct many of the original release’s problems and glaring issues. What we ended up getting was an airlifted port with the only new addition being online leaderboards. Sure, the gameplay is tighter on a controller, but that doesn’t make this lazy port any better than the original release.